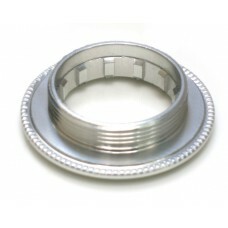 26 mm lockring for Camagnolo. Fits hubs built until 1998 referred to as "Campagnolo 9 speed hub". Start sprocket must be 12 or larger. This item is no longer available, we're sorry. Marchisio 8 speed casette for Campagnolo.Attention, the cassette does NOT fit Campagnolo 8 spe..